This was great tease for V-Day… Thanks Sylvia! Yay loved it i can’t wait. Thank you. Happy Valentine’s day to you too. Omg i loved it. I can’t wait for the book. Thank you and happy Valentine’s day to you too. This is the longest tease ever! Oh cant wait …. Love it.. OMG!!! I LOVE LOVE IT!!!! oh my! so HOT! Thank you for the teasers. Waiting patiently. this sooooo needs to be released sooner!!!! The anticipation is killing me here!!! Amo este libro … quiero leerlo ya !!! Why can it be released any sooner?!! I am so ready to just read and finish it in one day. Ugh! Why does the release date have to be so far away!? I can’t wait much longer. Oh god please, release day please hurry!! This is so NOT fair. I don’t think I can wait any longer!!! Im dying for a lot more Gideon!! …Love this series! Thanx Sylvia! Snippets will have to keep us going until 4th June! Can’t wait! I’M EXCITED!!!!! Pacing just pacing waiting for JUNE 4th!!!! Thanks for the snippets! Happy Valentine’s Day. Thanks for this HOT Snippet. OMG!!!! PLEASE UP THE RELEASE DATE YOU ARE KILLING ME!!!! LOL!!! Man, Your Such A Tease!!!! Just Give It To Me Already!!!!!! This is like too much for me! Im In love with Gideon! My husband is so jealous of this character! Omg! Thank you Thank you Thank you! Gave me butterflies! I can’t wait till June!!!! Super juicy! June is to far a way to read this book. See what you can do to get it out sooner. All I can say about this snippet is WOW!!!! OK, I can’t take this! I need this book! Thanks SD, you’re the best! Thank you Sylvia and Happy Valentine’s Day to you!!! I can’t wait for the book to finally get here!!! I love the story!!! i love this its so driving me mad, i need more Gideon! OMG love love loved this! Really can’t wait till the book is released. Will have to read Bared To You and Reflected in You again to keep me going!!! Thank you for our Valentines gift 🙂 I’m so wishing it was June already!! lol to hell with tasteful! just do it! Thanks for showing me where to find the other snippets. Can’t wait for Entwined. Sigh…..
Geez, this was torture. Need this book like yesterday. Loved this. This book has ruined me for the next man in my life, cause I definitely want a Gideon Cross of my own. This waiting is slowly driving me maddeningly insane, it’s driving me insane waiting for the release date of this book. 3 1/2 months is too long to wait for the next book. More Snippets please. I am so confused!!!! At the end of Reflected in You the cops tell Eva that they are dropping case and she tells Gideon that “Wherever this takes us. Together”, but based on excerpt and snippets they are still sneaking around. Why??? I can’t wait to read this so I can get some much needed answers! stop doing this to me…realease the book already!!!! OMG!!!!! I love Gideon Crosss!!!! I caaaaaaaaaaaaaaaan’t take this anymoreeeeeeeee! I need the book. I need 10000000000 snippets more. PLEASEEEEEE! think I will read the first 2 AGAIN while I wait! Keep up the good work. Ahhhhhhh. I am counting the days!!! Sylvia, I have a few questions for you. Was the discussion with the detective at the end RIY a set up? Do the detectives decide to reopen the case against Gideon? Or, does the guy who Gideon decked at the end of BTY resurface to open a case against Gideon which leads detectives to take a further look at Gideon and his obsession to protect Eva? I guess I don’t really expect an answer. However, in both books Gideon has decked every guy who appears to be a threat to Eva including Brett…….just sayin’. I’m also wondering why Eva and Gideon have to sneak around. Just found out the book has been pushed further back than May…arggghhhhhhhhhhhhhh!!!!!!!!!!!!!!!!!!!!!!!! This needs to be released soon. I have to read it fast..cant wait!!! I’ve pre-ordered it but have just received this message 🙁 Noooooooooooooooooooo! Can’t wait! Please release the book sooner! Need a Entwined Countdown Clock… Gah! Feed my addiction!!! If I read the other two books anymore, I could recite it in my sleep, verbatim. If we can get snippets why can’t we just get the book already? Release all the other books after and I bet we will all buy them if you just give us all EWY!!!!!!! We just all need to know what happened next, I’m going crazy here waiting. Why make us wait if it’s done? I understand your contractor made it harder but Jesus why make us pay for his mistake? I think you’re confused. My contractor has nothing to do with the book releasing in June. Publishing houses decide release dates, not authors. (unless the book is self-published) I told the contractor story to explain that I understand being frustrated by a lack of communication. Also, I don’t know what you mean by “release all the other books after.” What other books? I’ve written nothing but Crossfire books for over a year now. Everything else has been removed from my schedule so that we can get the Crossfire books out as quickly as possible. There’s more to publishing a book than finishing it. Berkley rushed to get Reflected in You out on the shelves ASAP and what ended up happening was the book sold out before noon on its release date and readers had to wait days for stores to restock. The release date was worthless to thousands of readers because they couldn’t find the book anywhere. No one wants that to happen again, so the release is being carefully planned and coordinated with vendors to make sure everyone has plenty of stock on the day of release. No one is making readers pay for someone else’s mistake. Just the opposite is happening. The publisher paid attention to the complaints and comments surrounding the Reflected release and is working to ensure that those issues are addressed. 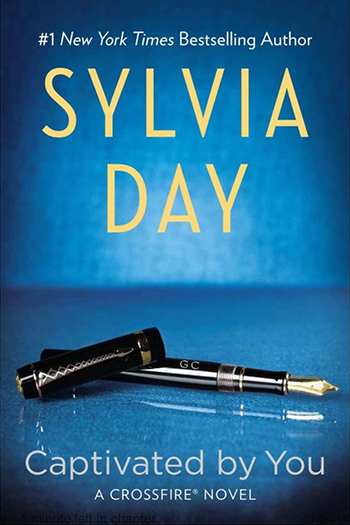 Sylvia, The snippets are great. Thanks a million and am I glad I’ve pre- ordered my copy of Entwined With You. it needs to be release ASAP i pre-order it and i’m pissed that now it will not be release in may but not i have to wait until june!!!!!! why???? I agree. I wouldn’t have even started this trilogy had I known the books would be so far apart. Talk about a “tickler”!! Can’t wait for Entwined with You!!! Any chance for an earlier release? “I couldn’t stand being in this alone” “I’m with you baby”….sigh…I love them! I have never been so mesmerized by reading books until I came across the Crossfire Trilogy! OMG. I can’t get enough. Every women needs a Gideon Cross in their lives!! 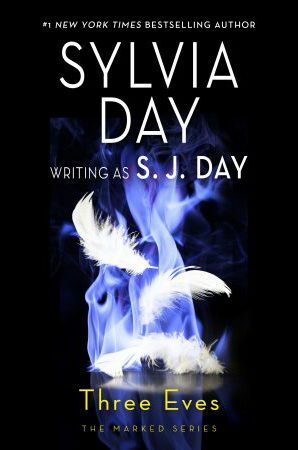 Sylvia Day, please keep writing. Please don’t ever let it end!! All I can say is wow I read the first two books in 5 days. I can’t wait for the 3rd book I’m on pins and needles here. I hope times really flies by fast. I have to say I love your books and tell everyone I know they have to read them. I just wish I could find my Gideon Cross lol like there are men out there like him….. only in books. I love this series, the story is enthralling. And I especially have a soft spot for the audiobooks. Jill Redfield reads them perfectly and has me blushing like crazy! More please! I just want to know 1 thing! Do Gideon and Eva end up together in the end????? Please tell me they do!